The annual Strawberry Picking Challenge is a great way for the community to step up and help local youth. The event raises money for the Redlands Christian Migrant Association. In Plant City, strawberries are more than a sweet treat. The juicy berry is a way of life thanks to the abundance of strawberry farms that permeate the area. Breanne Williams. Gary Wishnatzki, owner of Wish Farms, blew the airhorn to kick off the 2018 Strawberry Picking Challenge. This is the sixth year that Wish Farms has hosted the picking challenge, but its support for RCMA goes back more than a decade. Prior to the picking challenge Wish Farms hosted a tennis tournament to help raise money for the group. Hollenkamp said the picking challenge is one of RCMA’s two biggest fundraisers each year, with the other being a golf tournament that takes place in another county. Breanne Williams. The youth in the eating contest were competing for tickets to the 2018 Florida Strawberry Festival. The money raised goes directly toward the operating budget of RCMA, which helps the schools have supplies, lunch for the kids and other general expenses. During the picking challenge there will be 25 to 30 third graders from an RCMA school coming out to sing a few songs and lead the pledge of allegiance. Hundreds of attendees flood the farm and enjoy a lunch, fresh strawberry shortcake, games, photo opportunities and live performances. 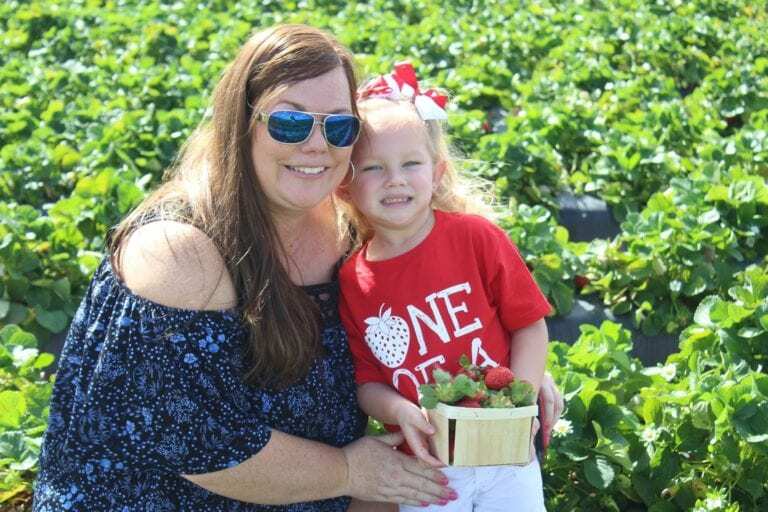 The children will also have the chance to participate in a strawberry shortcake eating contest where the winner usually walks away with tickets to the upcoming Florida Strawberry Festival. The picking challenge is Saturday, Feb. 9 from 11 a.m. to 2:30 p.m. The event and parking are both free and the u-pick is $5 per quart. Anyone who wishes to become a sponsor to get a team in the race should contact Hollenkamp at cr@rcma.org to see if there are spaces still available. The 2018 Florida Strawberry Queen and Court posed with children at the annual event. Last year the group raised approximately $100,000 and the goal Hollenkamp said is to match that this year.